The Venugopal Dhoot-promoted Videocon Group owes over Rs 90,000 crore to various public and private sector banks. 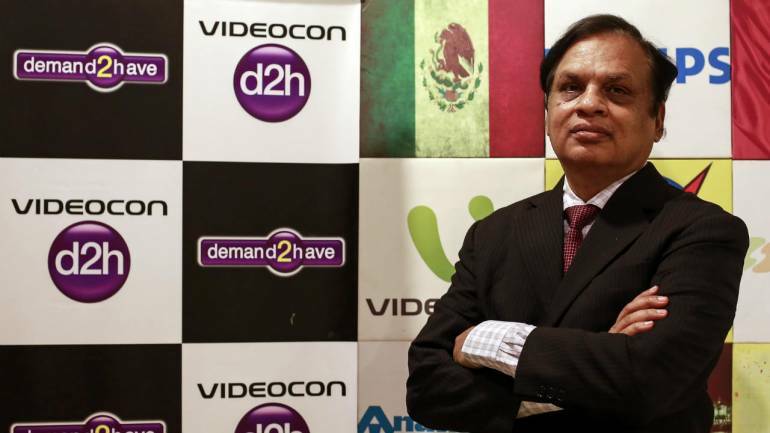 This would make Videocon the biggest corporate bankruptcy case in the Indian banking history, a report stated. Videocon Industries (VIL) and Videocon Telecommunication (VTL), the two main group companies, owe lenders, led by State Bank of India (SBI), Rs 59,451.87 crore and Rs 26,673.81 crore, respectively, which adds up to a whopping Rs 86,125.68 crore. VIL owes 54 creditors, with SBI's claim the highest at Rs 11,175.25 crore. Meanwhile, VTL owes 34 lenders, the biggest again being SBI at Rs 4,605 crore. Apart from banks, 731 other operational creditors have made claims worth Rs 3,111.80 crore to VIL and Rs 1,267 crore VTL. This drives the total sum over Rs 90,000 crore, the sources said. The group promoters -- Venugopal, Pradipkumar and Rajkumar Dhoot -- have filed separate claims of Rs 57,823.24 crore for personal guarantees they provided to VIL for various facilities availed. These are under evaluation. VTL has claimed Rs 1,786.95 crore from VIL. After the introduction of Insolvency & Bankruptcy Code (IBC) in India, this will be the biggest private sector bankruptcy in India and it may have a wide-ranging impact on the corporate and banking sector. The company was sent to the National Company Law Tribunal (NCLT) in 2018 by SBI after the Dhoots defaulted on their loans. The board of directors of the company has been suspended and a resolution professional (RP) has been appointed to run the company's daily operations. Earlier this year, the CBI had charged ICICI Bank Managing Director and CEO Chanda Kochhar, her husband Deepak Kochhar and Venugopal Dhoot, in a loan scam, criminal conspiracy and cheating. Kochhar quit from her position and the bank appointed a new COO, Sandeep Bakshi.